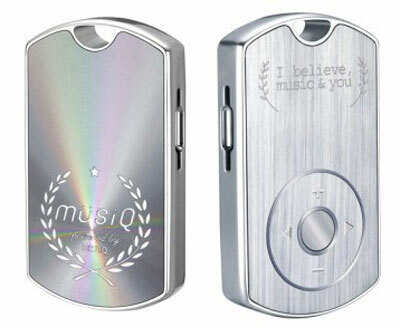 This BenQ MusiQ dog tag MP3 player will be available in 512MB and 1GB capacities, and it also accommodates a microSD card. Best of all, its earphones are incorporated into a matching chain to complete the militaristic illusion. Available December 4, the 512MB player will be $88, no pricing was announced on the 1GB yet.